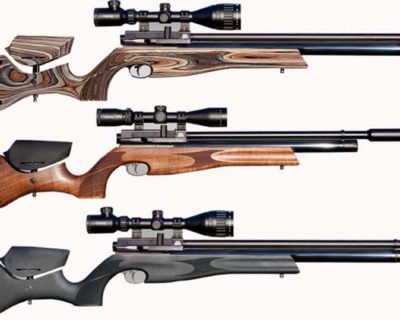 "Every air rifle that Air Arms create is designed to give each shooter the maximum amount of reliability and performance. With those goals in mind, Air Arms are thrilled to announce the latest addition to their extensive range of revolutionary rifles, the Ultimate Sporter XS. Unveiled at the 2018 Shot Show in Las Vegas, the latest addition to the Air Arms catalogue has all the benefits of the standard Ultimate Sporter, plus the unparalleled power and consistency accessible from the all new regulated models. Air Arms Managing Director, Claire West commented: We are really excited to be showcasing the Ultimate Sporter XS at Shot Show. Now offering the model with a regulator fitted as standard, a choice of stock options and the all improved 25 cal and shot count, we feel sure that it will answer a lot of questions from our ever growing American market. PLEASE NOTE – the above specifications are for the FAC models ONLY. Standard power Ultimate Sporter XS details will be released at a later date."